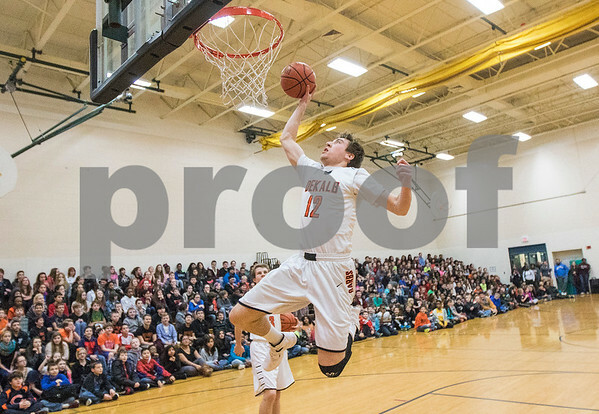 DeKalb's Michael Pollack jumps to dunk the ball after a pass from teammate Joey Sauser during the First Naional Bank Challenge pep rally at Clinton Rosette Middle School in DeKalb on Tuesday, Jan. 26, 2016. Players and cheerleaders toured half of the Dist. 428 schools Tuesday and will hold pep rallies at the remaining schools today.